A few years back, we ran a popular series titled, “5 watches for $2,000.” The thinking behind that exercise was relatively straight-forward—one of our readers emailed us asking about creating a well-rounded collection under a budget, lamenting that such guides were few and far between. So, to that end, we got the editorial team together to offer up their individual takes on such a collection. The rules were simple. Working with a budget of $2,000, each writer had to pick one watch from the following five categories: chronograph, sports/diver, dress, quartz/digital, and tool/beater. The resulting articles can all be found here. All in all, it was a fun thought experiment. Due to the restrictions imposed, it really highlighted some of the best value-driven options–new and vintage–available in said categories. Speaking for myself, it really made me consider what I prioritize in a watch, and looking back at my picks I can still say I stand by most of them. Today, we’re kicking off a similar series. The prompt is this: if you had $5,000 to build a well-rounded, three-watch collection, what watches would you choose? Some explanation. We chose $5,000 as the cap for the simple reason that $5,000 is generally regarded as a point of entry into luxury. So rather than drop all that coin on a single watch, we thought it’d be interesting to see how our team plays around with that number. We also scaled it down from five watches to three to minimize some of the restrictions created by the price cap. Furthermore, the choices aren’t limited to specific categories of watches. 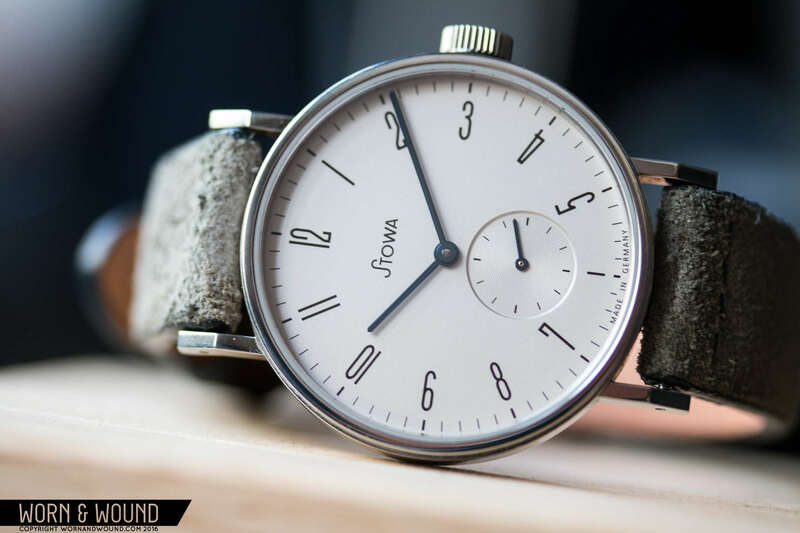 Our contributors can choose watches based on their needs and personal preferences. Finally, for the sake of consistency, all watches currently being produced have to be valued at their MSRP. Vintage or recently retired models should be based on the average market rate. So, that’s about it. To get things going, I’ll be offering my three picks first. To be perfectly honest, I live a pretty generic big city life. My days aren’t spent in airplane cockpits. I don’t dive (and frankly, I’m a pretty awful swimmer). And, as far as I know, I won’t be scaling a mountain in my near future. So, as much as I love overbuilt, over-engineered tool watches, if I were to pare down my collection to three ideal timepieces, I probably wouldn’t include one in the mix. Instead, I would focus on watches that I could wear daily with ease. That was how I approached this exercise. What watches, given the restrictions of the prompt, would make sense for me given my day-to-day life? With that in mind, two of my choices are already in my collection and they are watches that I wear on a regular basis; the third is one that I have long admired. The Sinn 356 chronograph is without a doubt one of my favorite watches that I own. I purchased it almost on a whim about five years ago after a too-good-to-pass-up deal came up on the forums. It’s Sinn’s most basic chronograph. It doesn’t have any of the brand’s notable case technology. It’s powered by what is a relatively pedestrian Valjoux 7750, albeit it’s solid as rock. So why the 356? First, I love the way it wears. At 38.5mm, it’s perfectly sized for my 6.75-inch wrist. Due to the case shape, the watch dips into my wrist, which gives it a comfortable and secure fit. Second, I love the stripped down, military styling of the watch. Aesthetically, the 356 is as clean and basic as chronographs get nowadays. It pulls a little from the IWC 3706 without being too derivative, but having handled both watches, I think the 356 has way more style. I mean, how can you not love that gorgeous, domed acrylic crystal. And third, at under $2,000, I feel perfectly comfortable having it be my daily beater, and when my watch collection was significantly smaller, it basically was. It’s an easy one to pair with a variety of outfits, and it looks great on the bracelet or any style of strap. Now, on to something a little dressier. I firmly believe in owning a solid dress watch, and the Antea KS is just that and more. I wrote about the Antea KS last month for our “My Watch” series, so it’s not too surprising that I chose this as one of my picks. Simply put, the watch is a winner on all fronts. It’s great looking, it has pedigree, it’s solidly built by a very reputable brand and it is extremely easy to wear. Now, the latter is something that gets thrown around a lot, but it’s really true for this watch. Should you choose to, you could definitely wear the Antea KS every day without thinking twice, even with jeans and a tee shirt as I regularly do. The Antea KS is a Bauhaus classic, pulling from a German design that dates back to the ‘30s. The silver dial measures 31.5mm, the case 35.5, so the dial has a lot of real estate. In other words, the size is tempered, but the dial size means the watch still has some significant presence on the wrist. The Peseux/ETA 7001 is a high-grade, beautifully decorated caliber. It’s also the reason the watch is only 6.9mm thick, which let’s it slide right under a shirt cuff. the Antea is generally my go-to dress watch should the occasion call for it, and it hasn’t failed me yet. I have yet to find a watch that ticks all my boxes the way this ones does at under $1,000, and I have handled a lot of dress watches at or around this price point. This one beats them all. For my last pick, I went with something fun and, as you can see, vintage. I wanted something a little out of the ordinary and something that exuded style. Of the three, this is the only one I do not currently own (the beautiful specimen here is owned by our very own Zach Weiss). The Polerouter Date is based on an earlier Gerald Genta design, the Polarouter, which was released in 1954 to commemorate Scandanavian Airlines Systems polar flights from New York/Los Angeles directly to Europe (for a deeper look at this family of watches, click here). Universal Genève then released numerous watches under the Polerouter umbrella in the years that followed, but the ones that stuck closely to Genta’s blueprint remain my favorite. So, why the Polerouter Date specifically? For starters, it’s absolutely beautiful. From the fantastic bombe lugs to the multi-textured dial, there’s a lot of style packed into this tiny package, which measures a classic 34.5mm. One of my favorite details is the trapezoidal date window and custom date wheel, and that’s saying something as I generally dislike date windows. The Polerouter Date is simply a beautiful, versatile watch. And with the right strap, it can suit almost any occasion. I have yet to find the right one in the condition I’d like, but as soon as I do, I’ll certainly be adding it to my stable (while clearing out some of the excess). Finally, and this is outside the scope of the exercise, with the money left over, I’d definitely focus on rounding out a nice collection of straps—leather, shell cordovan, nylon, milanese, you name it. That will make a three-watch collection feel much greater.